Let your customers do the talking. Drive more sales and higher order values by featuring a Trustpilot TrustBox widget on your site, across your marketing efforts and everywhere else your customers are looking. 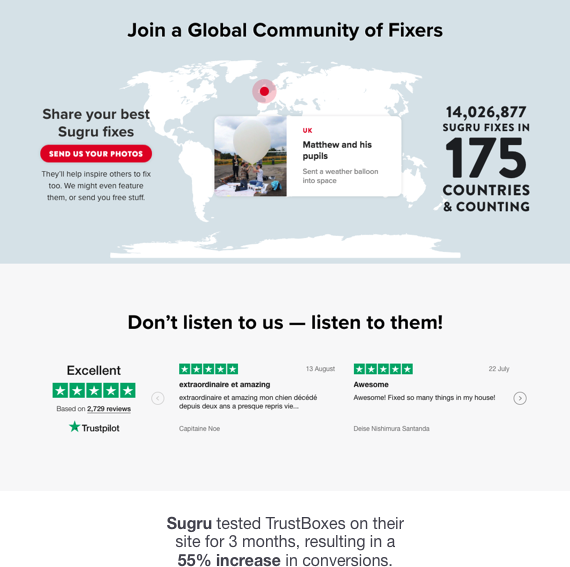 TrustBoxes are widgets that showcase your Trustpilot reviews, TrustScore, or rating on your site. How does it work? Installing a TrustBox takes just a few clicks. Simply copy and paste a snippet of code onto your website and you’ll have a stream of real-time reviews on your site. Why use it? TrustBoxes on your site give customers the confidence they need to buy, and increase your sales and brand trust. Trustpilot's Lite plan lets you choose from several responsive, mobile-friendly TrustBox widgets, all built to integrate seamlessly on any website. Get more widgets and extra product features with Pro or Enterprise plans. See some examples below. 73.6% of Trustpilot visitors are more likely to make a purchase from a website if they're displaying Trustpilot reviews on-site. Trustpilot sales said they could help us increase conversions, but we stayed conservative in our expectations. 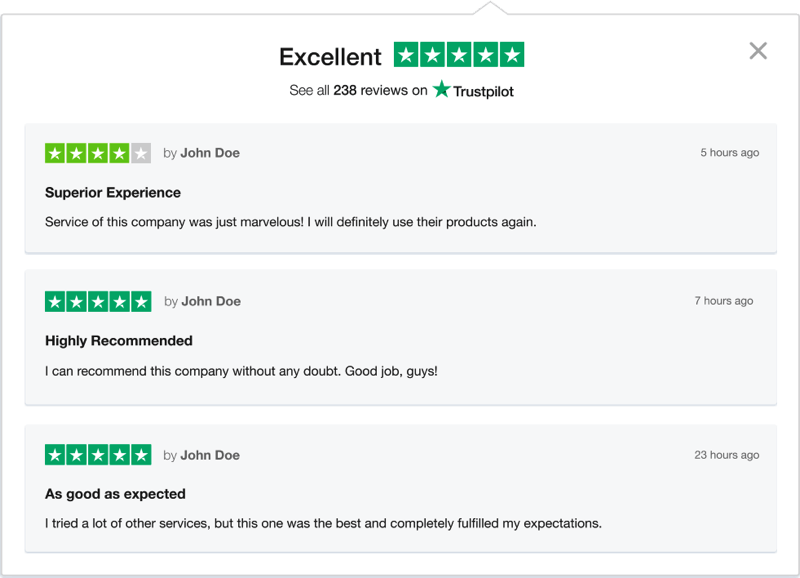 Trustpilot has surpassed our expectations. They were realistic when they said we’d get great results and our A/B testing proves it.